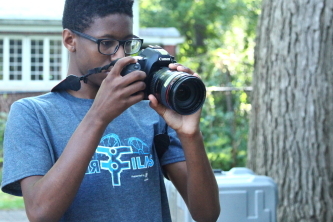 (Rock Island, IL — 19 July 2018) Fresh Films started as an after-school film program in Chicago in 2002; since then, it has been giving teens around the country the chance to gain career experience in film through weeklong summer programs pairing youth with industry professionals. The pilot that the teens are producing is a ​comical yet spooky tale​ tale about a young woman who inherits her grandmother’s inn and finds she has the power to communicate with the ghostly guests that come with it! Filming will take place from July 17-20, 2018 at the Ingersoll-Blackwelder House (the Queen Anne Victorian built in the mid-1870s, serves as the perfect backdrop for the TV show.) Additional filming on July 21 will take place at Urban BBQ Skokie as well as in Chicago’s West Ridge neighborhood. Fresh Films engages teens in filmmaking, but also the STEM (science, technology, engineering and math) careers that are actively a part of the industry. Sandra Biedron, owner of the Ingersoll-Blackwelder home, is also a physicist and engineer and was thrilled to have the teens film at her home. 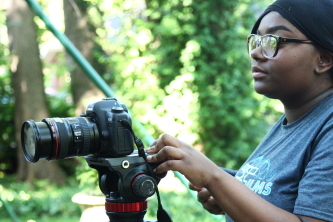 In addition to working on the film set, the teen filmmakers are also taking part in the inaugural year of the Fresh Films Career Path Program presented by ​Best Buy Foundation​. The youth will develop career skills as they work on a Hollywood-style film set alongside industry professionals, rotating through all on-set positions working in camera, audio, lighting, continuity. They’ll also be honing their soft skills as they work with producers to run casting calls and finalize filming and location details. And all of those skills will come in handy once the filming has wrapped! Starting July 23, participants will jump into 4-week internship placements with Chicago companies like United Way, Chicago Filmmakers, and Claire Simon Casting. The TV pilot will be reviewed by executives from Amazon Studios and Disney Channel Original Movies. Last year’s teen-created pilot, Gwen’s World of Weird, was picked up by The Wolper Organization (Roots, Bates Motel) and they are currently shopping the show to kids’ TV networks. Information about the 2018 TV pilot release will be available on fresh-films.com in the fall. 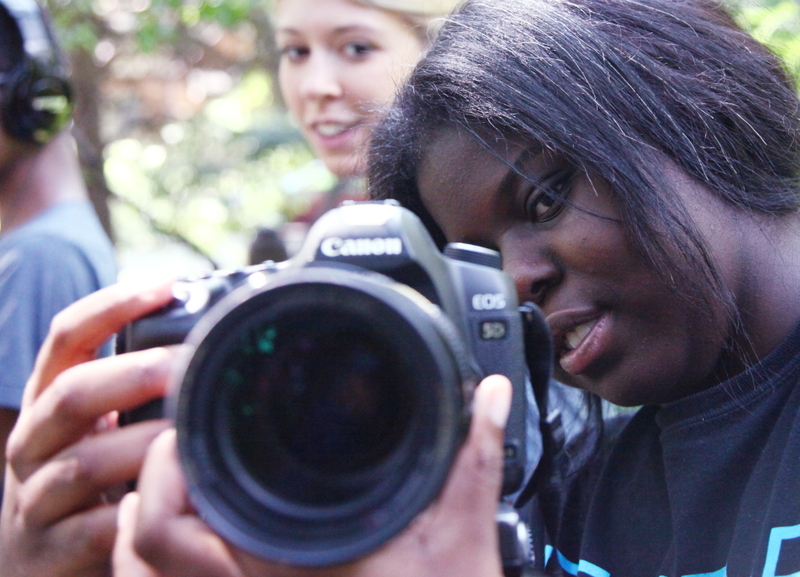 Year round, Fresh Films engages teens via school programming and 1-day camps and workshops. Teens never need experience to be involved with the program and the program is free to them. Now based at Augustana College in Rock Island, Ill., Fresh Films has been engaging youth behind the camera and creating youth-targeted TV shows, films and original content since 2002—all purposed to make a difference in young lives. Other films include The Stream a coming-of-age family comedy benefitting Boys & Girls Clubs of America and featuring Mario Lopez (Extra), Kelly Rutherford (Gossip Girl), Christopher Gorham (Covert Affairs), and Rainn Wilson (Backstrom); and Detectives Club, a science TV show for kids. Fresh Films is the non-profit arm of Dreaming Tree Films. More information is at www.fresh-films.com. Together with Augustana College faculty, Fresh Films helped launch Augustana College’s new Entertainment & Media Industries immersive minor, which offers both academic courses and hands-on internships to prepare students for leadership roles in the $695B Media & Entertainment Industry. Information on the program is available at www.Augustana.edu. Sandra Biedron has owned the Ingersoll-Blackwelder house with her husband, Stephen Milton, also a physicist and engineer, since 2014. The home, once owned by famous Chicagoans such as Gertrude Blackwelder — the first woman to vote in Cook County, IL – and Jack SImmerling – an artist who dedicated his life to historic preservation — was purchased by the couple to insure the public had access to Chicago history and architecture. They host a variety of events both for families as well as open the house to art, medical, social science, and science/engineering public functions. More information is available here http://www.ingersoll-blackwelderhouse.com​.